The President of Somalia’s northeastern region of Puntland, DR Abdiwali Mohamed Ali “Gaas”, who is in a visit to Addis Ababa Ethiopia , was reported to have signed agreements with a Chinese company to conduct and Construction Roads and Ports Puntland region, Addis News Paper Reports. The company called China Engineering and Construction Company, and has constructed 19 African Countries Roads and Airport, a project which was funded by the government of Germany . 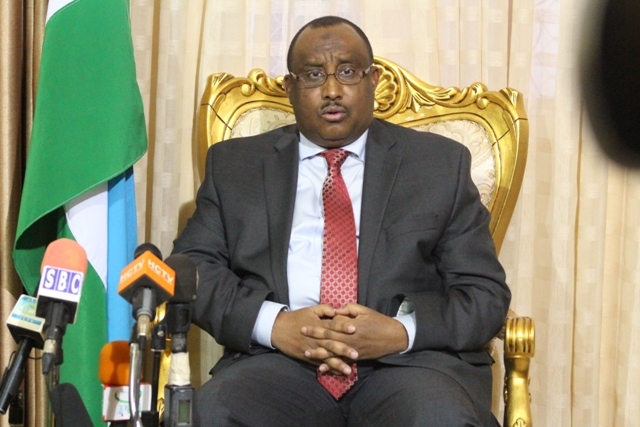 Be the first to comment on "President Abdiwali Mohamed Ali “Gaas”have signed agreements with a Chinese company to conduct and Construction Roads and Ports Puntland"